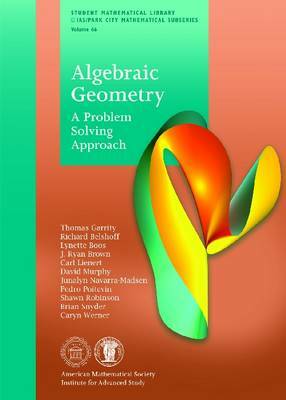 Algebraic Geometry has been at the center of much of mathematics for hundreds of years. It is not an easy field to break into, despite its humble beginnings in the study of circles, ellipses, hyperbolas, and parabolas. This text consists of a series of exercises, plus some background information and explanations, starting with conics and ending with sheaves and cohomology. The first chapter on conics is appropriate for first-year college students (and many high school students). Chapter 2 leads the reader to an understanding of the basics of cubic curves, while Chapter 3 introduces higher degree curves. Both chapters are appropriate for people who have taken multivariable calculus and linear algebra. Chapters 4 and 5 introduce geometric objects of higher dimension than curves. Abstract algebra now plays a critical role, making a first course in abstract algebra necessary from this point on. The last chapter is on sheaves and cohomology, providing a hint of current work in algebraic geometry. This book is published in cooperation with IAS/Park City Mathematics Institute.